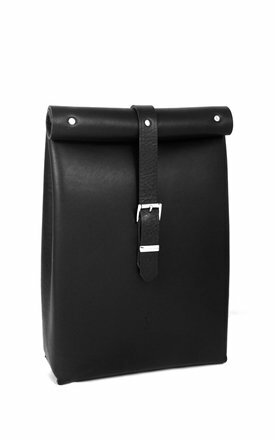 This beautiful Rolltop Backpack is hand made in stunning 'bubble' grain black leather, with carefully chosen nickel fittings. 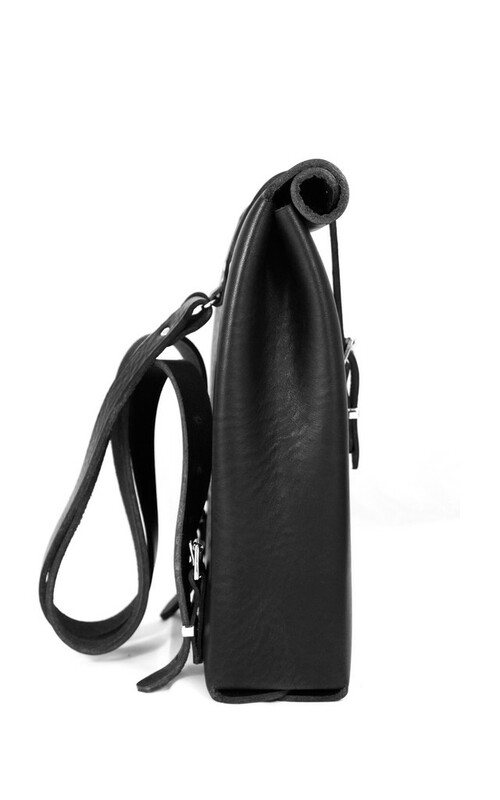 The leather is 'coiled' into a fixed 'Roll' to securely close the top of the bag and fastens with a simple strap and buckle closure. 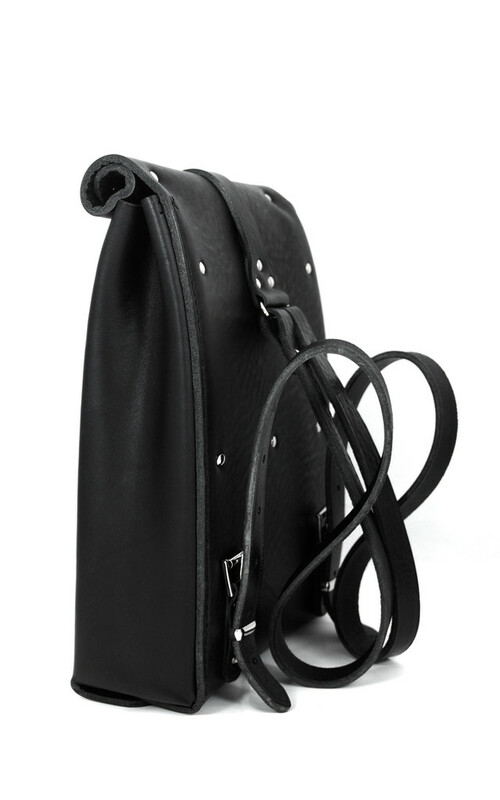 With a single line of hand stitching and minimally placed rivets this bag showcases a combination of traditional and contemporary construction. The result is a stylish, high quality piece for all seasons.